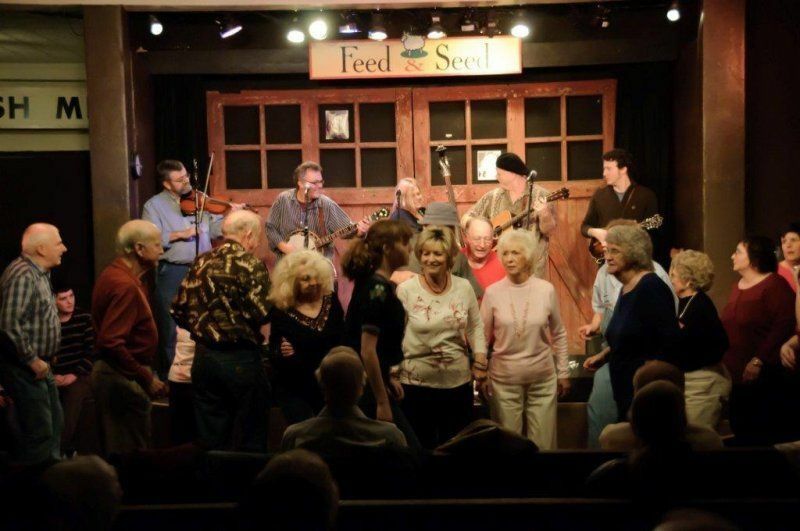 The West End String Band is an exciting combination of musicians dedicated to playing and performing traditional bluegrass music with modern appeal. Charlie McDaniel, guitar and vocals, moved to the upstate area about 20 years ago from Rutherford County, N.C. 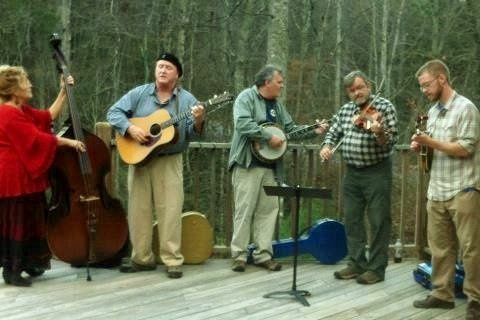 He was a member of the popular regional band, Hickory Flat, for over 20 years. Hickory Flat brought home a top 10 finish in the SPGMA blueg ... rass band world championship, followed by several busy years on the festival circuit. 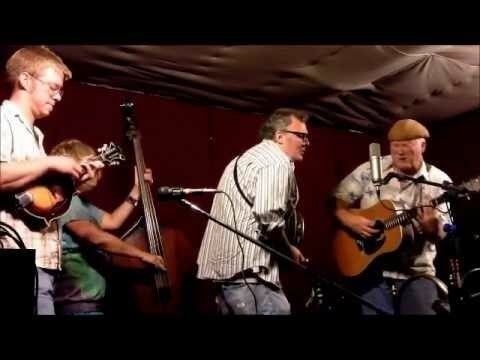 Charlie‘s soulful singing puts the blues in bluegrass. After moving to Greenville, Charlie met his wife-to-be Kathy. She grew up singing American traditional songs with her father in Northwestern Ohio. As a percussionist in high school, she won the Louis Armstrong Jazz Award for piano. Kathy became a die-hard bluegrass fan the first time she attended the popular Pickin’ at Pickens Bluegrass Festival. After going to bluegrass jams and shows with Charlie, she decided to take up a new instrument. Her great timing and true love for the music made the bass a great choice for her. She anchors the group now with her rock solid timing and harmony vocals. 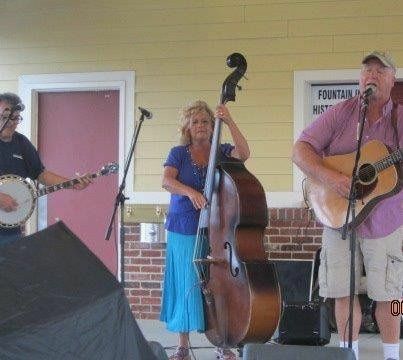 Charlie and Kathy played around Greenville for a year or so as a duet, playing bluegrass, folk, and acoustic blues, always longing for a banjo to take their music back to its traditional roots. 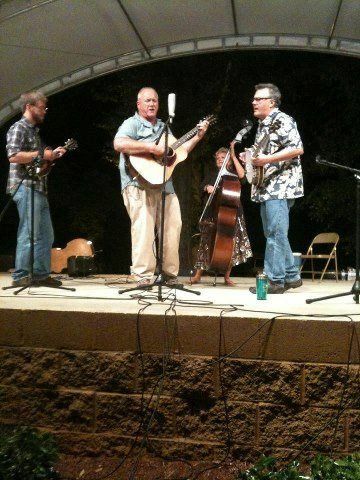 They were ecstatic when Jim Rollins joined the group with his superb banjo playing and high lonesome vocals. Jim, a Clemson graduate, hails from the DC area, and currently lives in Simpsonville, SC. His style, though steeped in traditional bluegrass, is versatile and creative. Jim’s voice will pull your heartstrings. He has had the honor of being a Sunny Mountain Boy with Jimmy Martin, as well as playing tour dates with Dale Ann Bradley, The Blinky Moon Boys and many others. Matt Purinton, of Six Mile, SC, adds his unique mandolin and deep rich baritone to the West End String Band sound. 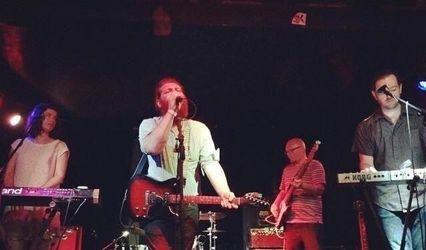 Matt previously played and toured extensively with Silver Dagger, Narrow Gauge Band, and the Ashley Caudill Band. Amazing band to go with an amazing day! Guests are still talking about the band! Great addition to our outdoor venue. They are a bargin for how many people are in the band and for how professional they sound. I am so glad I booked them, and I will be looking to see them around town when they play. They were on time, professional, and friendly. Thanks so much!! I am really grateful! 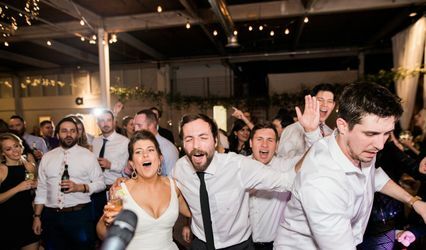 We had WESB play at our wedding reception and they were great! Our only complaint was that we wish they could have played longer! They were punctual, and the music was great - got our guests, particularly the kids, up and moving. Would definitely recommend! 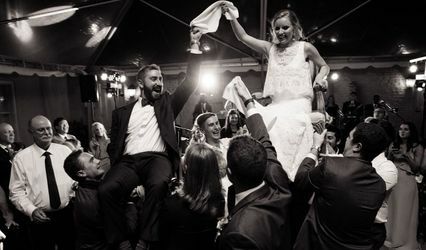 This was a rare event, we told the folks ahead of time we could dedicate 3 hours to the event in a specific time period and they agreed....in all other circumstances we are always available for overtime.....great wedding, great couple !! !